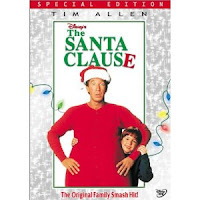 I don't recall having liked The Santa Clause when I saw it years ago (probably when it aired on TV sometime in the 90's), nor do I recall thinking it was a "good" movie. But I have vague recollections of seeing it and thinking it wasn't an excruciatingly painful experience. Turns out my memories were distorted, because that was kind of awful. I mean, I was expecting it to be an obnoxious vehicle for Tim Allen. 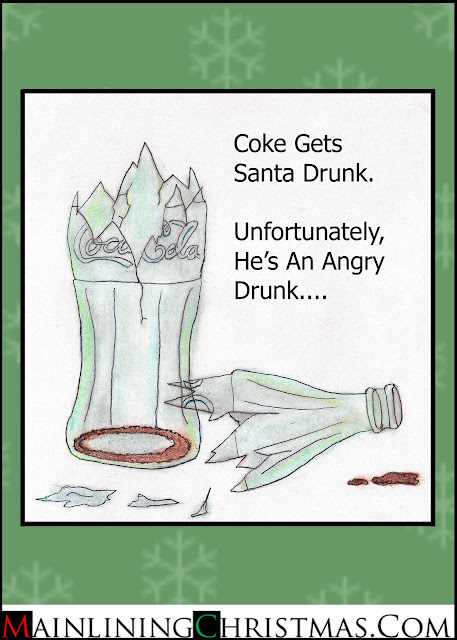 And I was expecting the fat jokes as the new Santa took shape. What I wasn't expecting was the abysmal acting from just about every minor character. Nor was I ready for reindeer fart jokes or anything of the sort. Now this show holds up. 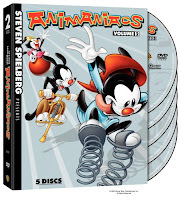 There's an occasional dated reference, but in general Animaniacs is still really fun to watch. There were two fully holiday-themed episodes released in 1993. Most of this episode is a cute riff on A Christmas Carol, with the CEO playing the role of Scrooge and the Warners as the ghosts. It has a nice ironic twist that I enjoyed quite a bit, and an assortment of short original songs. The second short in this episode is more or less a musical medley of Christmas Carols, loosely plotted around the Nativity. Now I'm often downright allergic to religion in my Christmas specials, but I actually found this fun and quite sweet. The music is really well done, and a nice mix of spinning the lyrics into comedy and playing it straight. Apparently, the war on Christmas just took a turn for the worse. A pastor in Denmark executed a stuffed Christmas Elf by hanging. He soon found a collection of garden gnomes in his front yard, which the media has dismissed as being from neighbors upset at the statement. That's because they don't know the code. 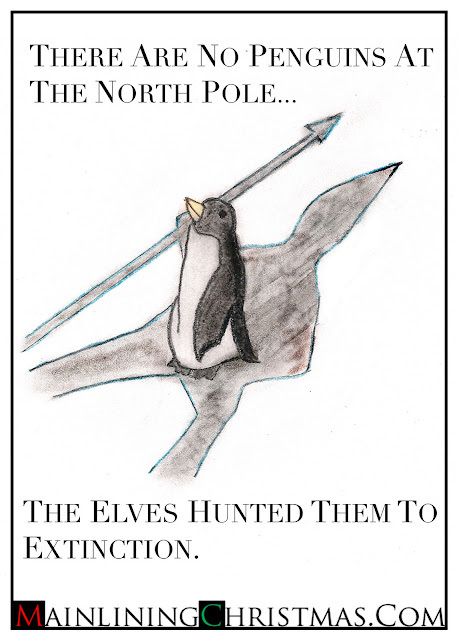 Christmas Elves don't operate within the law; that doesn't mean they're without order. You make a Christmas Elf mad, you can expect to hear about it. For the little things, they'll mess with your shoes. Cross a line, and they'll hire a team of dwarves to go to town on your plumbing. But if you go after them personally - if you cross the elf family - they send you a message in gnomes. Then it's just a matter of time. Maybe days. Maybe weeks. Maybe years. Sometimes they like to do it quick; sometimes they like to let their enemies sweat. But in the end, they'll demonstrate what those gnomes are for. I appreciate that a spoiler warning is fairly absurd for a movie that came out in 1947 and that almost everyone's seen a dozen times on TV, but... I want to be sure for this one. If, for whatever reason, you've never seen this, stop reading now and go see it. Find it on TV, put it on your Netflix queue, or buy it on Amazon. You can buy the digital download for four bucks. Do what you have to, but make sure you see it. I remember watching these episodes in high school; they often aired back-to-back. I remembered the basic plot of each, but little else. Both of these shows are obvious, campy, melodramatic and purposely anachronistic. I love them. The premise here is that Iolaus and two other guys are called to attend something special (the birth of Jesus, obviously.) On the way they stop to save a country full of babies by deposing a Herod-like king. It's basically just a normal week. Corny? Hell Yes. These shows in general treated history like one big fun toy chest they could mix and match things from, so I'm not really bothered by the timeline problems inherent in the story. Nor do I care that they mixed up Herod with a little Macbeth and a little Oedipus to create the main plot, and then it isn't even related to the Jesus part. I'm underwhelmed by Macy's "Yes, Virginia, There is a Santa Claus" themed window display. Technically, it's actually quite impressive: there's some ingenious design and use of movement and perspective at work, and, thanks in part to a voice over, they actually manage to convey the story in a manner you can follow. No, my issue here isn't technical: it's personal. "Yes, Virginia," in all its incarnations, grates on me. It brings out my cynical nature. Oddly enough, I actually kind of like the editorial itself. Sure, its got logic problems (the burden of proof always lies on the party proposing the existence of the entity in question: come on, that's obvious! ), but it's also really pretty. Plus, in the part everyone cuts, Church talks about fairies. And I've always really liked fairies. 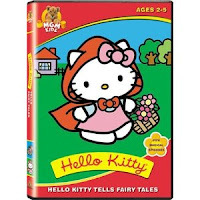 Until now, I've never seen an episode of Hello Kitty's Furry Tale Theater. Hell, I'd never heard of the show. Ignorance, of course, is bliss. 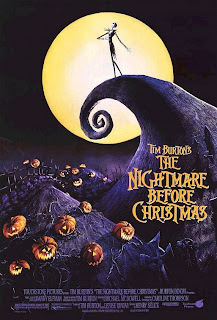 I'm going to ignore the second half of this episode - a boring and unfunny riff on Phantom of the Opera - and focus exclusively on the first short, a boring and unfunny riff on "How the Grinch stole Christmas." There are myriad things wrong with this. 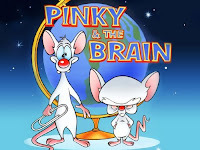 The jokes are trite, the animation is crap, and so on and so forth. But the real issue here is that they're not so much adapting or paying tribute to the original as they are outright stealing the idea. Yeah, they're doing it openly, but that doesn't change the fact it's still basically a version of the Grinch. 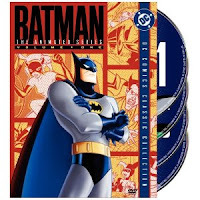 While Christmas With the Joker was the second episode made of Batman: The Animated Series, it didn't air until after about a dozen others. So, while viewers already had opportunities to see the show's take on the Clown Prince of Crime, this was really the show's first try. As in everything in this continuity (Batman: TAS, Superman, Batman Beyond, and Justice League), the Joker was voiced by Mark Hamil. You always get the sense he's having fun with the role, but I'm not sure he ever had THIS much fun again. There's a spastic intensity, a cruel joy, in his laugh that's kind of infectious. As a whole, the episode's pace is a little off, but that's a lot of what gives this its charm: there's room for a lot of bizarre Joker moments they wouldn't spend time on later; it's a fantastic exploration of his character (though they'd refine and improve that character over time, giving him more complexity than he showed here). Okay, I love window displays. Macy's windows, by the way, are highly overrated. 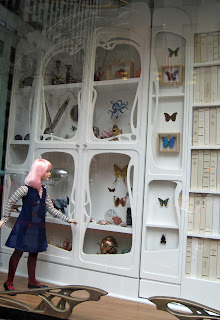 Check out Fifth Avenue in Manhattan for some of the best displays. I recently took a walk up Fifth Avenue, starting at around 48th street (just beside Rockefeller Plaza) and heading uptown. These first windows are from Saks Fifth Avenue. It starts with a little girl and a cabinet. There's some text somewhere about how her fantasies create the rest of the windows. It's like Labyrinth crossed with high fashion. The cabinet opens, and there's a model inside! This makes sense so far, right? This one isn't an official release: instead, it was put together as a fan video and released on YouTube. At thirteen minutes, it's pretty substantial, and the production values are pretty solid, all things considered. I've never read the comic this was based on, but it's a pretty safe bet they adapted it more or less faithfully. This is more or less exactly what it should be. I'm not really sure that's a good thing, though. Whether or not you should press play comes down to whether you like Lobo. Personally... I don't, at least not when he's the protagonist. As a supporting character, he can be a lot of fun, but on his own, I find the attempt to shock and repulse me kind of tedious. That said, I can understand the appeal of twisted humor. If you're a fan of the character, you'll want to check this out: it's probably the closest thing you'll get to a movie for a long, long time. I liked this quite a bit. It's been quite a while since I'd seen it, although a lot of it came back to me as I watched. 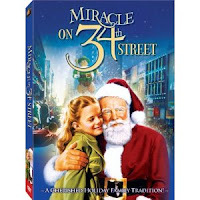 In case you are very young and deprived, this special is a sweet retelling of Christmas Carol starring all Disney characters. The animation is beautiful and detailed, the one song is pleasant and uplifting. The adaptation has to sprint through the plot to get to the end in half an hour, but it hits all the pertinent bits. I appreciate that they "cast" established characters in the roles of the ghosts, as well as all the others. That was something I felt was a poor misstep in The Muppet Christmas Carol. I knew a little of what we were getting into with this one. I knew that this episode had won an Emmy, and I'd seen a bit of it online when I was making lists of specials to track down. Even I didn't expect it to be this good, though. From a reworked holiday-specific title sequence through to the last joke, this is a great episode. Not quite 100% pitch perfect, but one of the best we've seen yet. I don't want to give too much away, but Brain's current plan involves conning Santa's elves into making large numbers of hypnotic dolls. There are one or two awkward jokes, but the climax makes up for it. One part made even my Grinchy heart melt a little. Check this one out if you can. I think you'll be glad you did. Sadly, WB's been patrolling Youtube, and I could only find short clips online. It's available for a couple bucks on Amazon On Demand, or on Volume One of the DVD release. I find it interesting that both this and Elf share the same inspiration: both movies are set in worlds extrapolated from Rankin/Bass Christmas specials, and both take those settings surprisingly seriously. 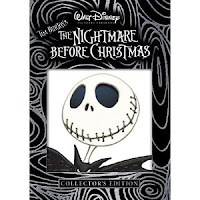 While Nightmare Before Christmas and Elf couldn't really be described as being in continuity with each other, either could easily be imagined in continuity with Rudoph. 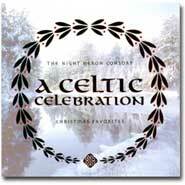 With all the holiday music we've been listening to, the time is right to tell you about one of my favorite holiday albums. This is a CD I've had for about as long as I've had CDs and the music (now MP3s of course) goes into my rotation every year. Is anyone surprised that Robot Santa was made by Japan? Anyone? Thanks to Gwynne for drawing our attention to this robot monstrosity. Here are some of the earliest window decorations I saw this year. 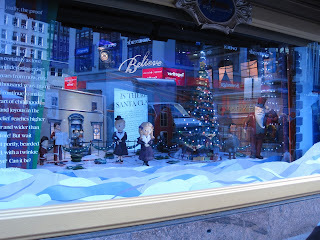 Up and active more than a week before Thanksgiving, here are some selections from the animatronic windows at Lord & Taylor in Manhattan. Overall they aren't bad, kind of classic looking. They remind me of the displays I used to love as a child. As such, though, they are a little boring. You know how you've never heard of the 1985 For Better or For Worse Christmas special? Yeah, there's a reason for that. Now, first I want to make a couple quick disclaimers. I've never followed the comic strip this is based on, and don't know any more about it beyond what I've gleamed over the years from news reports and skimming the Wikipedia article. From what I can tell, the comic incorporated some brilliant, long-term storytelling techniques and was probably massively influential, bla, bla, bla. The special wasn't actually bad. It was just... simple. Direct. As inoffensive as it was unfunny. You know something? I'd have preferred outright bad. Really bad specials are still fun. They hold my attention and move along at a clip. Before I know it, they're over, and I'm laughing and thinking of all the interesting things I'm going to say about them. Edwin Thorester had given up on ever finding the best gift, or even a good gift, for that matter, long before he stepped into the For Corners Gift Emporium. The fact of the matter was simply that a “good gift” was an adult equivalent to Saint Nicholas; namely, that it existed in the heart, that many believed in its power, but no matter how much you were willing to delude yourself, it simply wasn't real. Erin loves this movie. I just 'like' it. So I'm going to take a moment to talk about my specific problems with the film, and there will be spoilers. If you want someone to inspire you with all the reasons to see the film, read Erin's take. 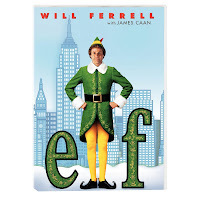 I always like Elf more than I expect to and less than I feel like it deserves. On this viewing I tried to put my finger on what bothers me about it. The beginning is great, to be fair. The sets, the costumes and the effects all combine to set this firmly in the world of the classic Rankin-Bass specials. Everything with the elves is pretty good. Much of the rest of the movie is funny or cute, and most parts work well. First you should know that I don't like Will Ferrell in almost anything. I don't like his style of comedy; I don't like his line delivery. I don't think he's awful in this (which is a step up) but in general he grates on me. We saw this on a VHS tape we dug out of a box in Lindsay's parents house in Massachusetts. It wasn't the worst thing we saw that weekend, but it certainly deserves an honorable mention. First up, this deserves a spot on the list of unintentionally creepy animated production. Some of the expressions the bears display are downright horrific. 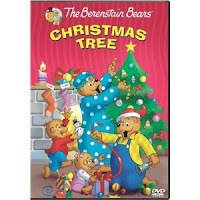 Also, there's a scene towards the end where an eagle, upset that Papa Bear was considering turning his home into a Christmas tree, chucks an axe at the Bear family. Almost got them, too. For what it's worth, that eagle wound up having a change of heart. After Papa Bear realized the inherent hypocrisy in cutting down someone's home for a holiday that was supposed to honor all life, the eagle, along with a brigade of other animals, did some Christmas decorating to ensure the Bear family had the best Christmas ever. I'm convinced that Elf was supposed to be a bad movie, but that, somewhere along the line, someone screwed up and wound up creating something brilliant. Consider the concept for a moment: this was obviously green-lit to be a Will Ferrell vehicle, where he plays a human raised in Santa's workshop who travels to New York to meet his family. In addition, the script included one or more jokes based on each of the following: belching, vomiting, and eating disgusting and/or discarded food. Yeah. Clearly, this wasn't supposed to be a good movie. 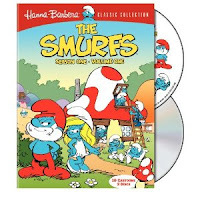 It was supposed to be the lowest level of childrens entertainment: something that comes out, parents brings their five year-olds to see, then everyone - kids included - goes home disappointed. That's all it had any right to be. Awww. This is a sweet movie, with a few weaknesses. Casting Gonzo and Rizzo as tag-team narrators was the main stroke of genius here. It worked so well that they were asked to carry the next few movies as well. Their comedy is pretty great, and as a fan I appreciate that their personalities are consistent, not drastically changed to play "Dickens". Without them, this could have been pretty dour. Also it gives surprising gravitas to Dickens' words to hear them coming out of Gonzo. Or maybe that's just me. Erin appreciated that Michael Caine could be playing Scrooge in any version of A Christmas Carol. He resists the temptation to ham it up for the Muppets and plays it just as straight as could be. Erin didn't much like the music, though. I like the songs: I think they're sweet, but that could easily be due to long familiarity. This pretty much just tells it like it is. At two minutes and change, you can't lose. Special thanks to Beth for pointing this out. At one point during this Lifetime Original made-for-TV movie, Lindsay pulled my hand away from my head to keep me from literally pulling my hair out of my head. I tried to explain that I knew what I was doing, that it was distracting me from the pain. She stopped me anyway. I think, in time, I'll come to forgive her. This one was hard for me. It's not that I'm a guy: I can take dramas, chick flicks, what have you. But the thing is, I'm also a writer. And, as such, there's a level of bad dialogue that will hurt me. In high enough doses, it might even kill me. Like most Christmas dramas, this was actually a science fiction film, though it buried that fact beneath five metric tons of melodramatic nonsense. Even so, the plot was a pretty straightforward time jump: the main character, a self-obsessed career woman, jumps forward ten years in her life to find herself a wife and mother, dutifully living out her husband's philanthropic dreams. This is a BRAND SHINY NEW Prep and Landing short. It's only about 7 minutes, but it's 7 minutes of pure win. If you didn't see Prep and Landing last year, you missed the best new Christmas special probably for decades. It's from Disney, now that they've had a heart and charm upgrade courtesy of Pixar. What else would you expect? This new addition to the world introduces Betty White as Mrs. Claus, and she's got a special mission for our favorite Prep and Landing team. 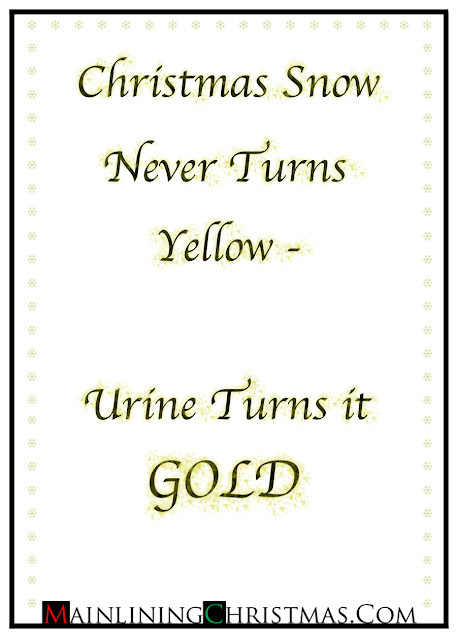 So see the original first, and then add to your cheer with Prep and Landing: Operation Secret Santa.